As you may know already we are huge Micro Scooter fans in this house. So far we have tested and loved the Mini Micro and the Maxi Micro so we were absolutely thrilled to make it a full set by trying out one of their aluminium two wheeler Micro Sprites. To be honest I hadn't actually realised the full extent of the scooters that Micro Scooters produce - there really is something for everyone. 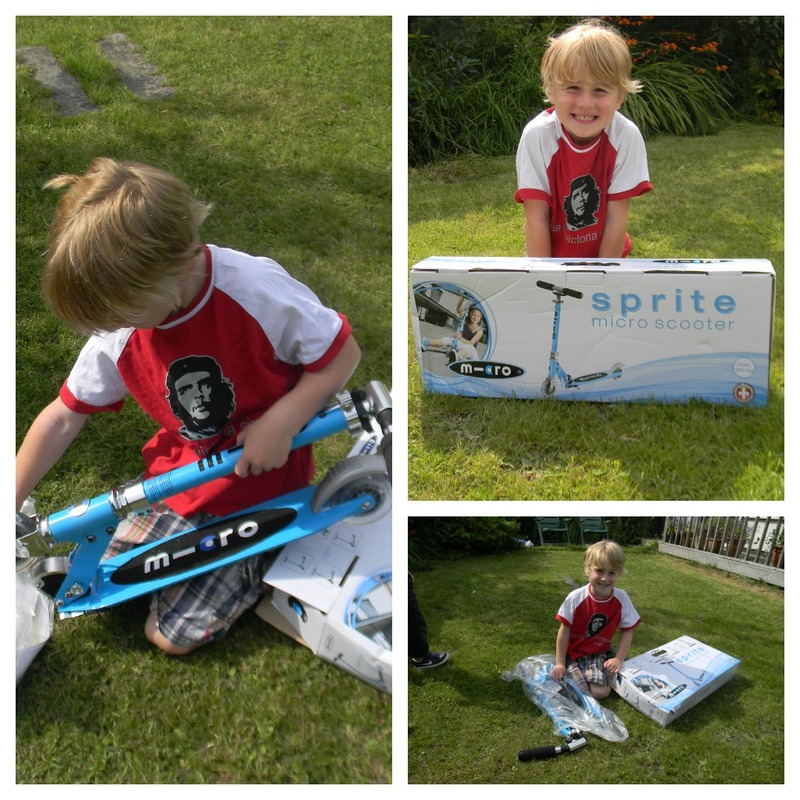 Their product range starts with the adorable Mini Micro complete with seat and O-bar for toddlers ages 1 - 3, and go on to the Mini Micro and Maxi Micro three-wheeled scooters and then on through to the two-wheeled aluminium scooters and the stunt scooter range. And within each of these categories is a huge choice of styles and colours. Middle boy who is six is very sporty and wanted something a little more daring than his sister and little brothers three-wheelers, so settled on the Sprite. He had had a similar scooter years before but it had been cast aside as too noisy and too cumbersome, never to be used again poor thing. I must say I really like the new scooter too. It is lightweight enough for him to zoom around on whilst making him work a little harder than a three wheeled one would. It folds up neatly for bringing in the car and has an extendable handlebar so that it can grow with him. 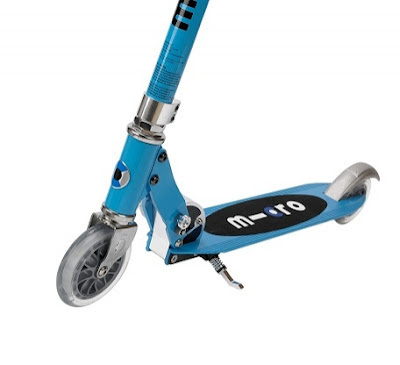 The Micro Scooters site is packed with carefully selected quality accessories and I've heard a rumour that they are adding some brand new items this Autumn. You can use your Scooterearz on almost any children"s push along scooter. There is an elasticated cuff that you simply slide over the handlebars. Your Scooterearz will then stay in place although it can very simply be removed and transferred to another scooter (if you can bear to part with it!) . The black outer material is water resistant coated (although we would recommend removing Scooterearz from your scooter in a heavy rain storm). Your children simply place their hands in the fun fur opening (designed with an extra large gap in case they need a rapid escape!!) and grab hold of the handlebars as normal. Hey presto - snug hands and your child will hopefully have many happy hours on their scooter. 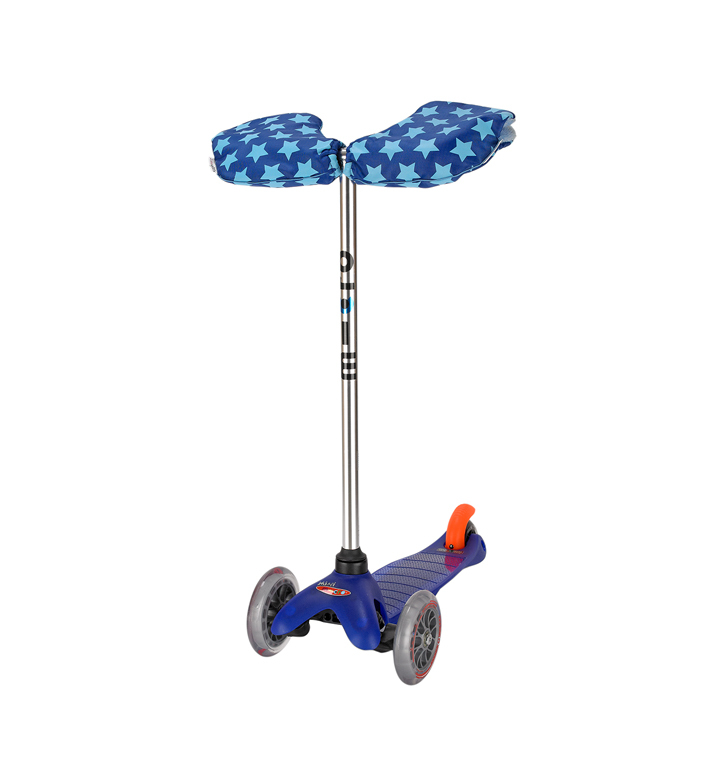 Scooterearz are the creation of a Mum who knew that mitts go missing and so to fix them onto the scooter T-bar is the answer! Disclosure: I was provided with the Micro Sprite free of charge for the purposes of the review. All opinions are my own.